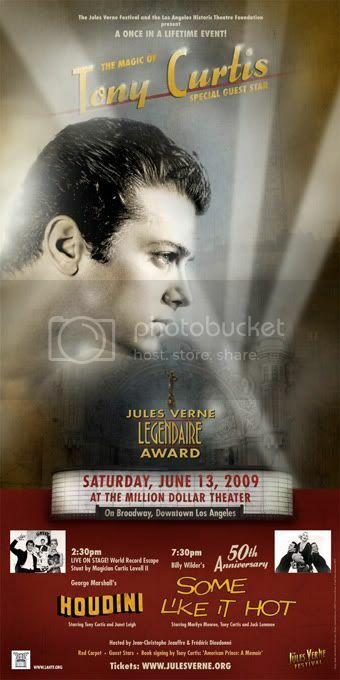 The Jules Verne Festival & The Los Angeles Historic Theatre Foundation are presenting The Magic of Tony Curtis this Saturday, June 13, 2009, at the Million Dollar Theater in downtown Los Angeles, CA. They will be presenting two of his films, Houdini and Some Like It Hot. For more information, please visit www.julesverne.org.